The array of sunglasses you have to choose from is bewildering. What you see is mostly about the fashion statement. What you don’t generally see is about fit, comfort, and–most importantly–protection. Reflected glare and UV rays both damage your eyes, big time. The effects are both immediate, as in eye fatigue and blurred vision, and potentially permanent, as in cataracts and macular degeneration. What to choose for our own and our families’ protection is confusing. 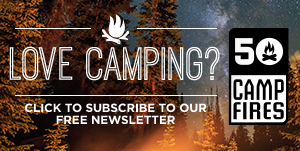 So 50 Campfires decided to go to the top to get the important questions answered about sunglasses basics. 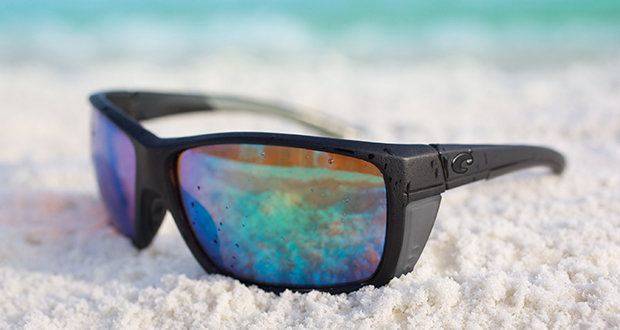 Costa Del Mar’s Vice President of Product Development, John Sanchez, agreed to help define the total package of protection and comfort we’re seeking in sunglasses for any outdoor activity. 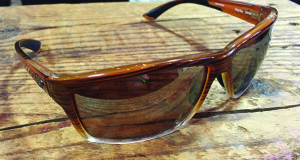 50 Campfires: When someone is looking to buy versatile, quality, protective sunglasses what are the most important considerations? Sanchez: That’s easy! Fit. Function. Clarity. All wearers want products that fit snug and naturally feel secure when worn. Functional elements include UV protection, rubber touch spots for extra comfort, and polarization for enhanced protection from glare and scattered harmful light. Clarity is important for reduced eye fatigue and color enhanced optics complete the total package of performance. 50C: In a nutshell, what is polarization? What does it do? 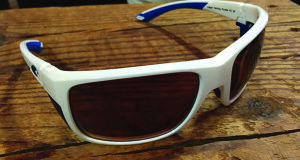 Sanchez: Polarized lenses provide protection from harmful reflective light. Light is scattered as it hits and travels creating glare and harmful light that can have long lasting negative effects on eye health. Polarized sunglasses are designed to target that light and reduce the impact on your eyes to provide for more clarity, reduced eyestrain, and improved color depth and perception. However, this is based on having efficient polarized filters. Costa lenses have 99.9% polar efficiency ratings, the highest in the industry. 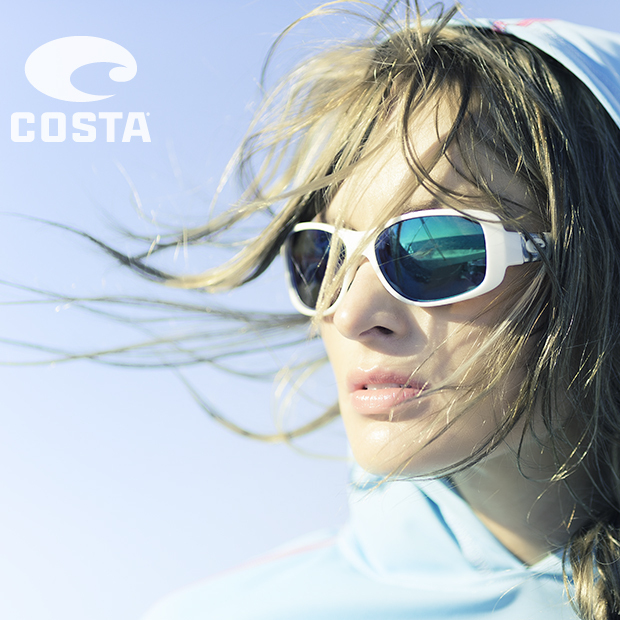 Not all polarized lenses are created equally, and Costa provides the ultimate in protection. 50C: Why is UV protection important for the eyes? How do you ensure maximum UV protection in the sunglasses you’re considering? Sanchez: UV Protection is extremely important. Medical journals are becoming more and more proactive in writing about the dangers of UV and its impact on our eyes. The best way to get this protection is to buy premium eyewear. Brands like Costa specialize in this segment. Our lens technology not only provides all the appropriate UV protection, but also color enhanced elements that reduce eye fatigue and bring colors to life through your lenses. 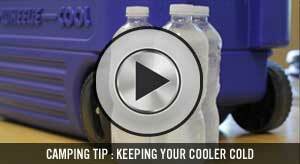 50C: What lens materials should we look for? Sanchez: Today you’ll find sunglasses using CR39 plastic, polycarbonates, nylon in various forms, mineral glass, and other hybrids. Polycarbonate gives you the ultimate in impact resistance and lightweight features. Active consumers who spend most of their time outdoors should definitely consider polycarbonate sun lenses. Costa’s 580P (polycarbonate) lens offers this protection, but also brings color enhancing properties along with protective filters for haze and advanced glare. Mineral Glass is often used in driving glasses or in non-active environments. Glass provides the best optical experience available in the market. Costa’s 580G (glass) lens is sold primarily to anglers and consumers who want better scratch resistance features plus the best possible optical experience. 50C: Costa offers a variety of lens colors. What are the attributes of Costa’s colors, and what is each recommended for? Sanchez: Costa’s options include: gray, copper, amber, sunrise, blue mirror, green mirror, and silver mirror. The mirrored lenses use our Copper (green mirror and silver mirror) or Gray (blue mirror) lens base materials. Copper offers great color enhanced vision and is a terrific all-purpose lens. Our Gray is designed for extremely sunny conditions when we know we are going to be out all day and need the strongest level of eye protection. Our Sunrise lens is designed for low light conditions, like dusk and dawn for fishing and other outdoor activities at those times. Costa’s green mirror is best for inshore fishing and for fishing the flats. Blue mirror is the perfect lens when you are out on the open water. Silver mirror is best for sight fishing. The most amazing story is that whether you are fishing or not with Costa sunglasses, you have an engineered lens technology portfolio to choose from for the ultimate in eye protection and enhanced optics. 50C: Costa’s core is fishing. 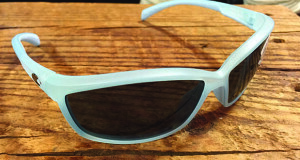 What are the most important attributes in sunglasses for fishing? Do these translate to “all-around” sunglasses? If not, what else should be considered? Sanchez: Fishing is what we’re known for, but our brand has expanded to far more than fishing. No matter where you wear you’re glasses, you’re going to appreciate attributes like rubber nose pads and rubber touches on the temple tips that contact your behind your ear. We include these details so your sunglasses fit comfortably, stay on and don’t fall off or slide down your nose even if wet. We have engineered our lenses to provide the utmost in protection, but also visual experience. Our reflective mirror coatings help to provide another layer of protection for the eyes. All these elements became popular for fishing, but the truth is we have developed wonderful, universal gear for all outdoor activities. 50C: If I’ve gotten by with convenience store sunglasses all my life, why should I consider stepping up to a premium brand like Costa? What makes them worth the money? Sanchez: The reality is our eyes are sophisticated organs. When you place a substrate in front of them, you have just chosen to let your eyes know that you are offering a form of protection. Your eyes will naturally dilate to allow more light in to create the appropriate balance for viewing. The downside to convenience store glasses is they don’t offer you all the elements of protection at the highest level. You have now exposed your eyes to more damaging rays. What makes premium eyewear worth the money is they are not just a fashion accessory; they are engineered by professionals for the health of your eyes. Costa lenses are all tested and approved by U.S. regulatory officials due to the high level of specifications we mandate of ourselves for our consumers worldwide. At Costa we believe in “seeing what’s out there” and urging consumers to experience life outdoors to create memories. We want to be a part of those memories by providing a long lasting impression that involuntarily starts with the eyes and cements these memories in our brains. 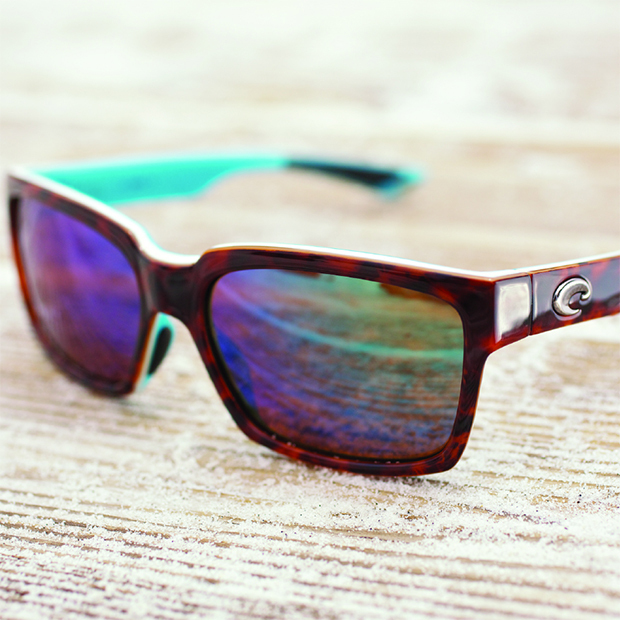 Costa just wants to be along for the ride and is dedicated to providing the best sunglasses in the world. Costa Del Mar’s three key messages are: Perform, Protect, Explore. As such they back global conservation efforts to promote sustainable fishing, and in doing so positively impact the environment for all outdoor enthusiasts. Kick Plastic is a campaign to reduce the amount of disposable packaging American’s use in their day to day lives—things like plastic bottles, grocery bags, individual packages for things that can be bought in bulk, plastic takeout eating utensils, and worn out fishing line. Checkout Costa’s website for more information and #KICKPLASTIC. Costa sees sport fishing itself as conservation, and is on a mission to protect the world’s waters by promoting sport fishing. The sport is environmentally friendly, sustainable and native to local cultures. In the rivers and ponds of Guyana’s unspoiled rain forest, Cost found a place where sport fishing can preserve the country’s natural resources and culture by supporting its indigenous peoples in a responsible way. Check out the details at here.